An aquatic, masculine fragrance, gives energy to the man who wears it, refreshing him with marine notes. The creator of this perfume is Jacques Cavallier. It was created in 2005. Bvlgari Aqua starts with a fresh note of petitgrain, and essence of orange leaves and branches. The heart reveals seagrass Posidonia oceanica. The base is extremely masculine due to mineral amber and woodsy notes. 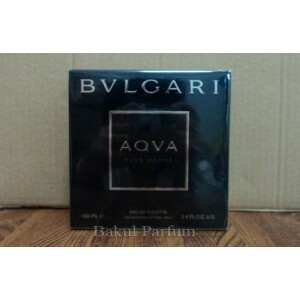 Beli parfum original Bvlgari Aqva for Men sekarang, harga termurah di Indonesia! !